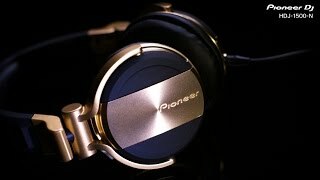 Pioneer DJ is releasing the HDJ-700s, stylish headphones that look good and sound superb. The robust, fully enclosed HDJ-700s are fine-tuned to reproduce rich, clear mid to low frequencies for monitoring dance music, and they have a simple, sleek design with color options to suit every style. This latest addition takes inspiration from Pioneer DJ’s top-flight headphones – the rotating ear cup enables easy one-ear monitoring, while the replaceable cable prolongs the life of the headphones. DJs’ comfort is ensured by soft, snug-fitting ear pads, and a sturdy, lightweight headband keeps the headphones securely in place.